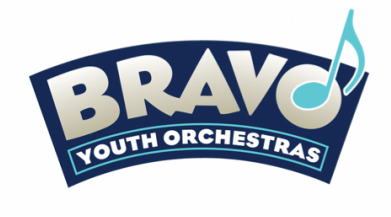 BRAVO transforms the lives of under served youth through intensive classical music instruction emphasizing collaboration, promoting self-confidence, and creating a community where children thrive. Equity: Improving academic and social outcomes of under- served children. Social Responsibility: Encouraging to participate in their communities. ﻿Planning for BRAVO Youth Orchestras began on Christmas Eve, 2011. We spent months researching existing music and youth enrichment programs in the community, and contacted leaders of the El Sistema movement in the US for advice and counsel. We visited programs in several states, met with local non-profit partners in education, arts and social service, spoke with policymakers and identified potential sources of funding. After considering a range of organizational structures and possible partnerships, our steering group decided in January 2013 to form a new non-profit to pursue a distinct dual mission of effective social service and rigorous music education. Founding Board President Dr. Bonnie Reagan and her husband Dr. Peter Reagan generously provided seed funding of $25,000, which leveraged a matching grant from the Vibrant. With these initial investments secured in March 2013, we were confident enough to commit to launching our program the following school year. BRAVO officially incorporated as a non-profit on April 17, 2013. After exploring several potential sites for our program, we chose to locate at Rosa Parks School in North Portland because of high need among the student population, strong leadership in the school, and a lack of access to music education in the neighborhood. On September 21, 2013 we held a paper violin making party and concert for the families of the first 40 students enrolled in our tuition-free After-school Program, and BRAVO Rosa Parks was officially underway. In August 2014, we welcomed 24 new 2nd graders into our After-school Program, which now serves about 60 students in grades 2-4, providing 10 hours per week (2 hrs/day, 5 days/wk) of choral singing, stringed instrument instruction, and orchestra. Our In-school Program continues to provide half-hour violin lessons twice a week to all Rosa Parks students in Kindergarten and 1st grade. May 14th-Spring concert at Mt. Olivet Baptist church 6-7:30 pm. Symphony on the Waterfront- Date yet to come! In 1975, in the barrios on the outskirts of Caracas, a small band of determined and idealistic friends led by José Antonio Abreu gathered to improve the lives of Venezuela’s youth through the power of music. They found an abandoned garage to use as a practice space and went door to door in the surrounding slums, inviting over two hundred families to bring their children that weekend to join a new youth orchestra. It would be free and the instruments would be provided. Only eleven children showed up the first day. But the teachers persisted, passed out instruments, and began practicing with their new students until nightfall. By the next weekend, the orchestra had twenty five, and at the end of the month seventy five students were attending. An orchestra was launched and a worldwide social movement was born. 40 years later El Sistema is Venezuela’s national system of youth orchestras serving each year more than 500,000 children, over 80% of whom live in poverty in a national network of over 270 music centers and over 150 orchestras. El Sistema-inspired programs are now operating in more than 50 countries around the world, and there are nearly 100 affiliated programs in the United States. BRAVO is the first in Oregon. El Sistema has ﻿﻿﻿documented its effectiveness﻿﻿ ﻿at raising graduation rates, lowering mortality rates, and improving outcomes for participating youth. 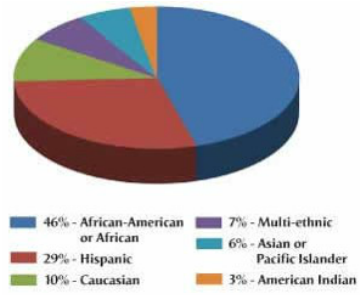 ﻿﻿Rosa Parks School has the highest rate of poverty (+95%) of any public school in Portland, and the student body is among the most diverse, with eighteen languages spoken and families from five continents. Every day Monday through Friday after school hours have ended the students of BRAVO enhance their skills on violin, viola, cello and bass in students their groups the Mozart's and the Brahms. These students currently consist of 2nd, 3rd and 4th graders that rigorously learn the art of music from 2- 4:30 pm, five days a week. After the students get out of class they go to the cafeteria where they meet with their BRAVO teachers and group to have a snack. Then they settle into their class, get their instruments tuned and play music together. After they play in their smaller groups, they line up and head to orchestra to play as a larger group. Teachers are encouraged to be creative and form their own curriculum in teaching the students the music and skills they need to learn. Occasionally, BRAVO welcomes guest artists from all around the world of all ages, instruments and skills to come and perform for the students. The students get the opportunity to meet these musicians and ask many wonderful music related questions. Most days for the last half hour of BRAVO the students have choir where they learn new songs that they can both sing in solfege as well as different languages and that they can also play on their instruments.